Microsoft is taking a massive $6.2bn hit on its fourth quarter revenues, following a failure of its online business to generate advertising revenue. The write-down is a result of the $6.3bn acquisition of advertising network aQuantive in 2007, which the company had hoped would boost its online ad revenue business to compete effectively with Google. At the time of the acquisition, experts said Microsoft had paid over the odds for the ad network – Bloomberg quoted that it paid nearly 39 times aQuantive's operating profit. However, now Microsoft has stated that a write-down of its Online Services Division goodwill of approximately $6.2bn is required due to the lack of growth in the business. 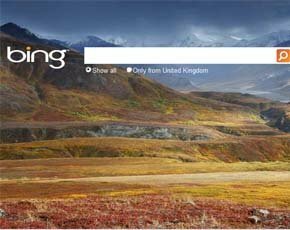 According to Microsoft, Bing search share in the US has been increasing and revenue per search (RPS) has been growing. The company said that while the Online Services Division business has been improving, its expectations for future growth and profitability are lower than previous estimates. This could be seen as a blow to Microsoft competing with Google, both in online search and with its free Windows Live and Office Live online services. Last month, Microsoft announced the $1.2bn acquisition of Yammer, which is expected to be integrated into the SharePoint portal and Office Live to provide enterprise social networking.